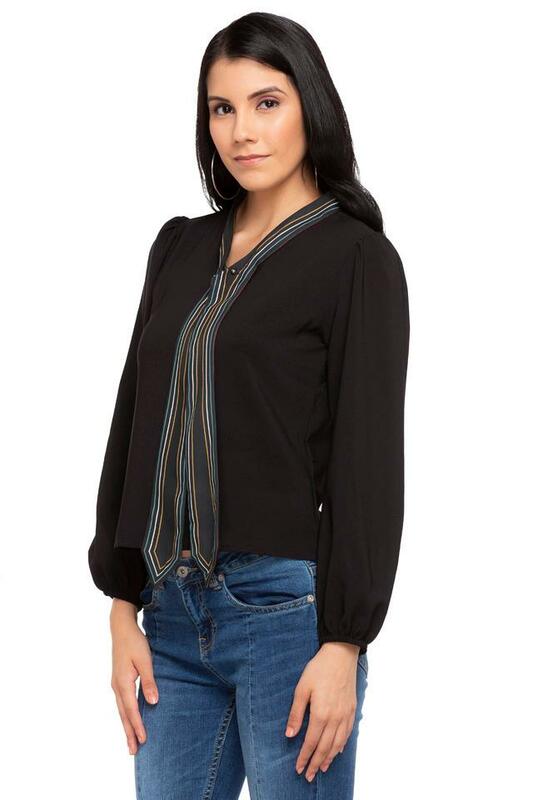 Make your style do the talking for you by wearing this top from the famous clothing house of Madame. It comes with a V neck that gives its design a distinct look. Featuring a solid pattern, it also comes with bishop sleeves that lend it a touch of style while the detailing at the front elevates it. 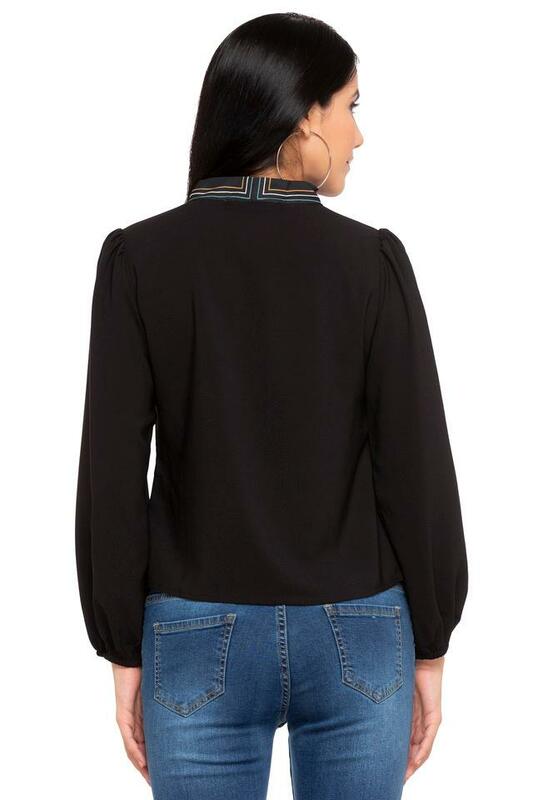 Show your fashion sense by opting for this top. You can wear it with a pair of chinos and gladiator sandals to complete your favourite look for any casual outing.